Built to Rule Action Building Sets let you build and battle your favorite Transformer characters. Build them into their vehicle modes, and then change them into their robot modes. 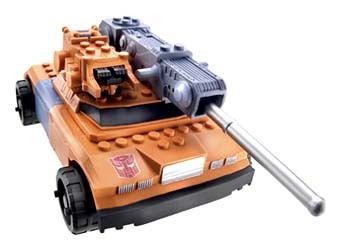 The Smokescreen comes with a firing missile launcher and includes the Buildable Liftor Mini-Con. Includes 39 pieces.